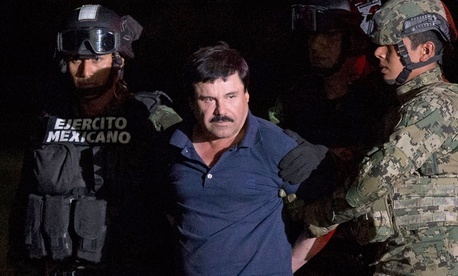 It’s increasingly looking like Joaquín “El Chapo” Guzmán will be tried in Brooklyn. The Mexican drug cartel leader faces charges in seven US prosecutorial districts, and the US Department of Justice has been mulling over which office should handle the case, or whether the cases should be combined. According to a Feb. 23 report in the New York Daily News, the Brooklyn-based Eastern District of New York is poised to get the nod, as early as this week. Of course, all of this would be predicated on the Mexican authorities handing over Guzmán to the US government. Mexican authorities said last week they continue to work toward Guzmán’s extradition (link in Spanish) “with strict adherence to the law.” But it’s a process that could take years, due to a variety of reasons, from concerns about meeting the standards of due process to a potential lack of political will. When Quartz asked the Justice Department for a response to the Daily News report, a spokesman said the agency does not comment on extradition-related matters until a defendant has arrived to the US. Speculation that Guzmán could end up in Brooklyn, where the office of the US attorney for the Eastern District of New York is headquartered, has been building since January, following his dramatic capture by Mexican authorities. The district’s latest charges against El Chapo were filed in 2014, when the office was led by Loretta Lynch, now the US attorney general. Its case against the drug lord is the strongest in the country, one unnamed law enforcement source told TV station PIX11. In a 49-page indictment, the Eastern District office—which also includes Queens and Staten Island, as well as two counties on Long Island—accuses Guzmán of distributing cocaine by the thousands of kilos, laundering money, and hiring sicarios, or hitmen, to kill, assault, or kidnap his enemies.